The Philippine government announced that 5.7 million people were affected by Mangkhut. At the same time, NDRRMC estimated that Typhoon Mangkhut caused a loss of 626.8 million USD in Philippines during the harvest season. As a result, this fund will aim at recovery work on local victims and affected families, helping them with daily supplies and farming in order to get recovery step by step. The northern part of Luzon Island is an important crop area for producing rice and corn in the Philippines. However, it was destroyed by Typhoon Mangkhut in the month before harvest. In addition to causing economic losses, the land was destroyed extensively, and farmers lacked food, materials, and human resources. Under the insufficient circumstances, recovery is a huge challenge to local people. The project begins to provide materials to Baggao and Solana in Cagayan. It provides rice, canned food, milk, coffee, biscuits, sugar, etc. to the victims. This project also distributes food packs to affected families. The project also begins to carry out farm rehabilitation plans, distributing corn seeds and fertilizers, and assisting farmers in plowing fields. 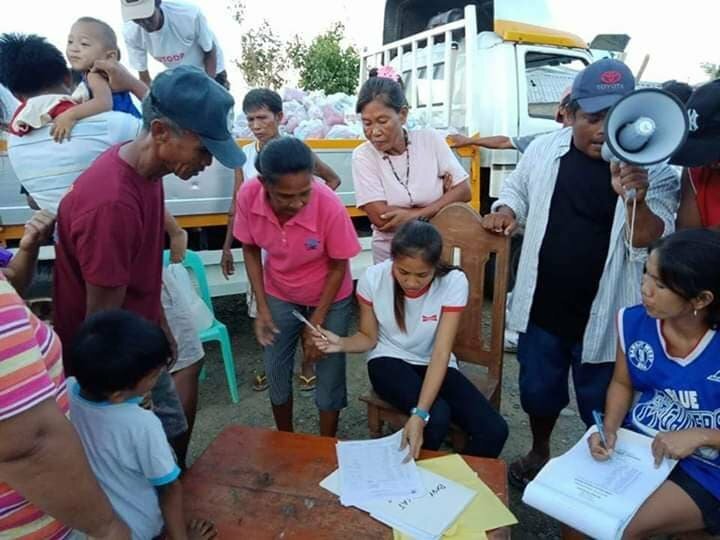 It is going to serve 1,250 families in Baggao and Solana with daily supplies and 200 families will be served through the farm rehabilitation plans.